Comment: I would like to get an estimate for Blow insulation for attic. Comment: We are looking to insulate the floor above our garage for improved energy savings and a more comfortable home during winter. The garage is a 3-car attached garage approximately 20' x 30'. Comment: New home construction. Batt insulation in 2x6 walls, blown-in in attic area, foam seal windows and exterior doors. Comment: 1400 sq ft house, attic has R7 want to bring it to R49. got one bid, we want another bid. Comment: I want to insulate the ceiling of a bedroom so the activity in the bedroom above is less of a disturbance. Fort Collins Insulation Contractors are rated 4.64 out of 5 based on 641 reviews of 18 pros. 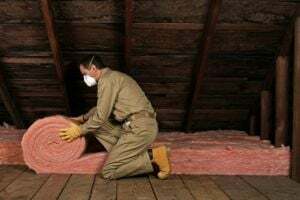 Not Looking for Insulation Contractors in Fort Collins, CO?